You can have the most reliable sending structure in the world and brilliant designers on staff, but without great content for your emails, it won’t matter. Content is what it all comes down to, and unless yours is great and tuned to your audience’s needs, your list is likely to dwindle as readers desperately search for that unsubscribe link. This section of the Foundations series takes a look at various types of email, how to define the purpose of your content, keeping that content clear and consistent across channels, and knowing your audience and what they want. Transactional, where an email is sent to a person on an individual basis, usually as a result of an action they’ve taken (like making a purchase, or receiving a shipping update). One-to-many, where a large list of people are sent the same or very similar emails from a source to which they’ve intentionally subscribed (like a newsletter, or an event invitation). Understanding the distinction between these two types of email is the first step in defining what type of content is appropriate for that email. Transactional emails contain specific information related to a transaction between the sender and an individual recipient. They typically take the form of receipts, confirmations of actions, or updates on products that a customer uses. In any case, they should be simple and succinct and focus on that transaction instead of marketing anything else. Marketing emails, on the other hand, are used to market a product, event, article, or service to a large group of people. While a clear and focused message is important in marketing emails, they often have a number of messages competing for a subscribers attention and can include a lot of extra content that transactional emails, as a rule, do not have. Once you know what type of email you are designing and sending, your next goal is to define the purpose of that email. Every email campaign has a purpose. Understanding that purpose is essential to crafting outstanding content that reinforces the goals of your campaign. Campaigns without a clear goal often turn into bloated, unfocused messes that can harm your reputation as a sender and as a brand. The purpose of most email campaigns are fairly straightforward. The goal of transactional emails is to present information about an interaction in a clear and accessible manner. Therefore, the content of a transactional email should be limited to that information, along with minimal branding and legal information. Some transactional emails, like a welcome series, can be broader in scope and serve a marketing purpose, but these should have clearly defined goals, too, and their content should reflect those goals. Marketing emails usually have varying purposes. If you’re sending an email about a product update, your goal is to excite users and get them using that update. Tailor your content to meet this goal. If you’re sending out an event invitation, you want people to RSVP. Craft your content to get them to do so. Some goals are harder to distill. Bloggers send out updates when new articles are posted. Companies send out monthly newsletters. In both cases, the campaign is recurring and doesn’t necessarily have a clearly defined purpose other than to keep that blog or company fresh in the subscriber’s mind. In this case, it may be harder to figure out how to design an email around that content, but you can still strive to make that content accessible and clearly presented. Your goal, then, is to present the brand and content in the best possible way by keeping content clear and consistent with the overall brand voice. Too many email campaigns take the approach of slapping as much content as possible in an email and calling it a day. This leads to unfocused campaigns that usually annoy readers instead of engaging them. Even if those campaigns have a clearly defined purpose, that purpose is often obscured by the glut of attention-grabbing content in the email. Therefore, it’s important to cut and clarify your content so that every piece of content in a campaign reinforces and serves the goal of that campaign. Let’s take the example of sending an email about a product update. Many companies look at such an announcement as an opportunity to mention not only the product affected, but rather every product they make. The subscriber reading that email, while likely interested in the update, will be distracted by everything else in the email. The likelihood of them clicking through for more information on the update or to actually start using it diminishes. Were they to focus only on that product update, they would have effectively limited the subscriber’s attention to that product. Instead of being distracted and confused by the extraneous information, subscribers would have sought more information on the update and started using it instead. 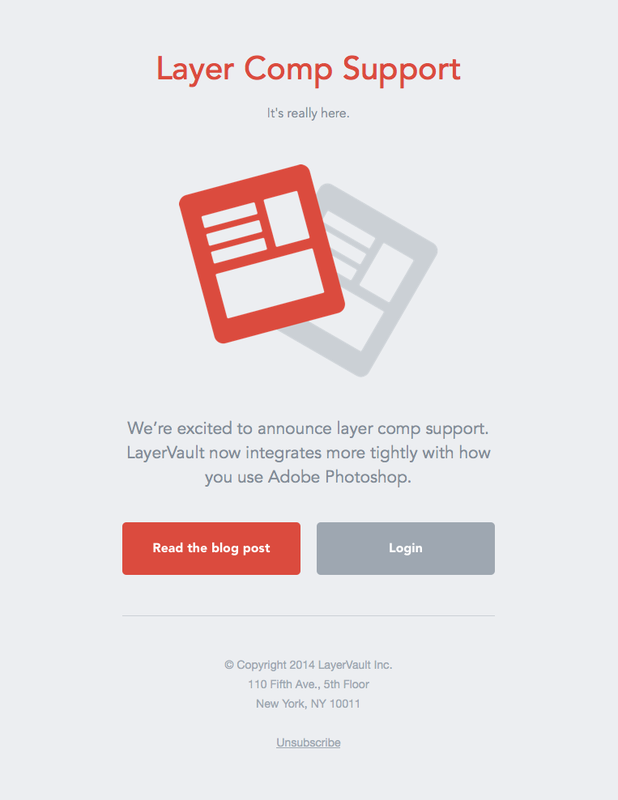 Layervault, a software company that provides version control for design teams, is an excellent example of how to focus on one thing at a time. Their emails are an exercise in clarity and simplicity. Not every email can be as single-minded as a Layervault product update, but you should still strive to have every piece of information in your email support the overarching goal of that campaign. Many marketers hold the myopic view that an email campaign begins and ends with the inbox. But email campaigns don’t exist in a bubble. They are nearly always part of an overarching brand strategy that uses design elements and a specific tone of voice to reinforce a brand’s goals. It is important to understand that voice and bring it into your campaigns. Through the use of design, content, and copy, you can hone your email’s voice to be consistent throughout the subscriber journey—from what the subscriber sees before signing up to a list to whatever they encounter on a landing page after tapping a CTA. Keeping the tone of your subject lines, preheader text, and email copy consistent across channels like websites, social media, and print. 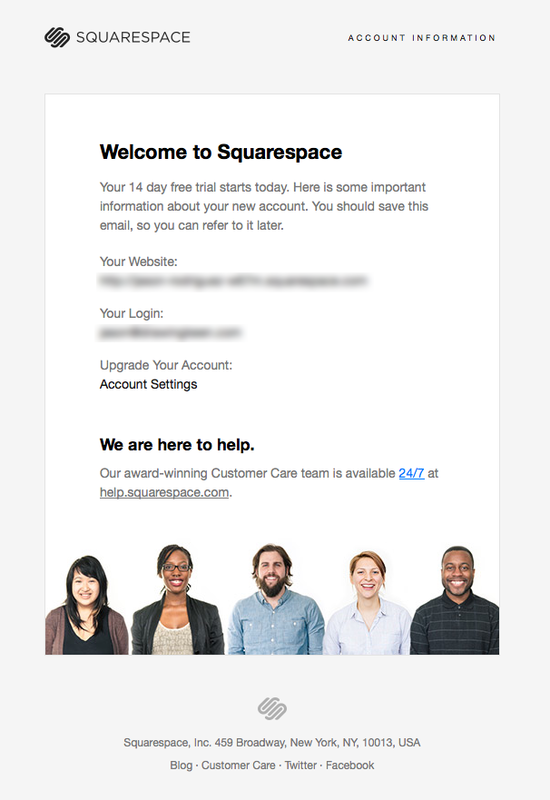 Keeping the visual design of your email consistent with that of your brand. Don’t send emails that look like they’re from a different company, it’s a terrible way to reinforce your brand. Make sure your from name and reply address are familiar to subscribers. If most customers know you by your brand name or a Twitter handle, don’t send newsletters from Joe in marketing. It may seem more personal, but the voice isn’t consistent across channels and it won’t be doing you any favors. All of this advice is for naught, though, unless you know your audience. Your audience is all that matters. Knowing who subscribes to your emails is the best way to determine what kind of content you should be sending. It can be hard to learn about your audience, especially if sending on behalf of a large company. Smaller companies, or those working in niche industries, tend to have audiences that are easier to satisfy. Their interests are both obvious and specific, so tailoring content to them isn’t too difficult. Larger companies, or companies with broad interests, have a harder go at it. Their (typically larger) subscriber lists represent a broader spectrum of interests. In this context, determining the best content is largely a process of trial-and-error. Regardless, identifying that valuable content is still vital for a successful campaign. Whatever the list, there are a number of things you can do to better understand your audience and their needs. While huge, detailed signup forms aren’t advised, you can usually glean more information about subscribers by noting what forms and pages they use to sign. Segmenting lists based on where someone signed up is a good first step to personalizing content for that segment. Many ESP forms and marketing platforms make this relatively easy. After that, running split tests on lists is a great way to compare different types of content and see which works best. Try swapping out different articles, subject lines, visual designs, and CTAs to see what performs well. An obvious, but often under-utilized, option is to simply ask subscribers what content is valuable to them. Setting up a survey to see what they like in their inbox is a great way to inform your campaign strategy. At the very least, your reply address should be active and monitored in case a subscriber does take time to send you feedback. Finally, paying attention to your campaign analytics is key. Even if you aren’t running split tests on campaigns, you can compare different campaigns to see what types of content work best. More importantly, when it comes to designing an email, understanding where your subscribers open emails is vital to designing and building campaigns that work best for their environments. Once you have identified a campaign’s purpose, determined what type of content fits that purpose, and clarified that content to reinforce your campaign goals, it’s time to start designing an email. The next section of the Foundation series takes a look at the basics of designing an email campaign.